Academic Profiles: ORCID · Scopus · DBLP · Mendeley · Google Scholar · IEU Dir. The course materials are on the Blackboard system. 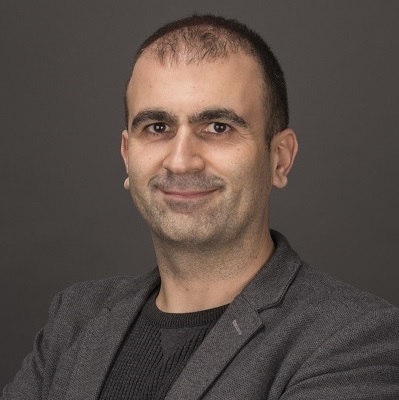 Cemre Candemir, PhD, Co-advisor, "Çok Katılımcılı Sosyal Destek fMRI Çalışmalarında Değişim Noktası Tahminleme", Ege University, International Computer Institute, Completed, September 2018. Gani Rahmon, M.Sc., "Evaluation of Procedurally Generated Terrains via Artificial and Convolutional Neural Networks," Completed, July 2018. Melek Büşra Temuçin, M.Sc., Co-advisor, "Procedural City Generation using Cellular Automata", Ege University, International Computer Institute, Ongoing. Unluturk, M.S., Oguz, K., Atay, C., 2009. "A Comparison of Neural Networks for Real-time Emotion Recognition from Speech Signals." WSEAS Trans. Sig. Proc. 5, 116–125. Oğuz, K., 2010. "Bilgisayar Oyunlarında Kalabalıkların Hızlı Çizimi." Anadolu Üniversitesi Bilim ve Teknoloji Dergisi A - Uygulamalı Bilimler ve Mühendislik 11, 23–33. Korkmaz, İ., Oğuz, K., 2018. "Application of Neural Gas Networks to Object Detection," at: 4th International Conference on Engineering and Natural Sciences, Book Of Abstracts Of 4th International Conference On Engineering And Natural Sciences 442-442, ISBN: 978-605-67955-2-7. [WOS Core] Candemir, C., Oğuz, K., 2017. "A Comparative Study on Parameter Selection and Outlier Removal for Change Point Detection in Time Series," in: 2017 European Conference on Electrical Engineering and Computer Science (EECS). Presented at the 2017 European Conference on Electrical Engineering and Computer Science (EECS), pp. 218–224. https://doi.org/10.1109/EECS.2017.48. [WOS Core] Unluturk, M.S., Oguz, K., Atay, C., 2009. "Emotion Recognition Using Neural Networks," in: Proceedings of the 10th WSEAS International Conference on Neural Networks, NN’09. World Scientific and Engineering Academy and Society (WSEAS), Prague, Czech Republic, pp. 82–85.